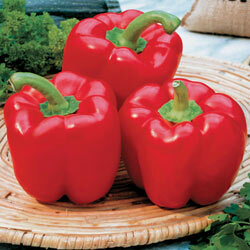 Growing Bell Peppers is best in hot weather, full sun, and moist well drained soil. Bell Peppers are native to semi-tropical regions and and in frost free and low frost areas it can be grown as a small perennial shrub. Harvest bell peppers at any point after they reach an appetizing size. 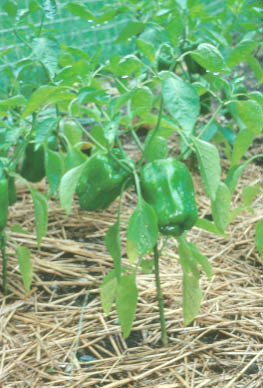 Most bell peppers are green when young and can be harvested at that time. Mature bell peppers can be green, orange, red, yellow, or purple depending on the variety. You harvest bell peppers by cutting them off the plant. You can pull them off if you’re careful. Bell peppers will continue to produce until the first frost. Bell Peppers are a fantastic source of vitamin C. Green Bell Peppers has two times the vitamin C by weight than citrus (oranges, lemons etc.) and Red Bell Peppers have three times more than Green Bell Peppers.